Reebok’s been on a throwback kick (no pun intended) has of late, resurrecting some of its iconic b-ball footwear franchises. Those who were up on their sneaker game back in 1992 have fond memories of Shaq’s official kicks. 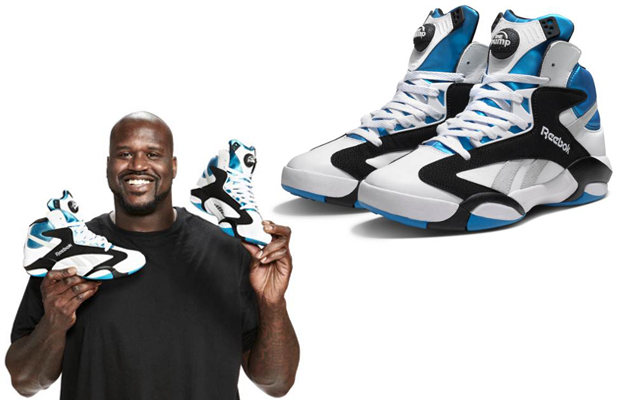 Now you can relive the past, as the company recently announced the upcoming launch of the Reebok Classic Shaq Attack. Dipped in the original Orlando Magic color scheme, the sneakers feature lightweight technology known as Graphlite: “a plastic, incredibly strong fiber: that makes balances stability with a lightweight feel. Just like we remember them. The Rebook Shaq Attack sneakers can be purchased on April 19th at Reebok.com, Jimmy Jazz, City Gear, Show Palace, and numerous other outlets.